Still, I’m not sure I’d call telemedicine a bust. It only recently overcame technical and legal challenges to enter mainstream healthcare and its potential to more geographically evenly distribute medical expertise is promising. We have plenty of doctors, just not enough of them in primary care and an overabundance in big cities like Boston and New York where doctors prefer to live. I’ve never had a video visit myself, but I would be more inclined to use it for a conversation with a skilled specialist in obtaining a second opinion since I have my $60-per-month concierge doctor available at all times anyway. From Ms. Security: “Re: Quest Diagnostics. Their online bill password protection is a joke — MM-DD-YYYYZIPCODE.” Unverified. I registered on MyQuest to see how it works – the site requires creating a case-sensitive password that’s at least eight characters long that contains at least one alpha and one numeric or special character. 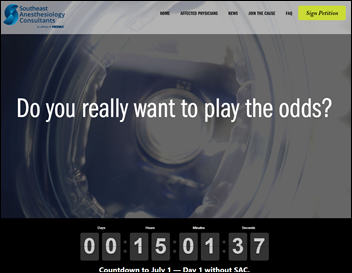 Maybe it varies by the way the site is accessed. 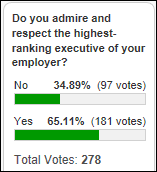 Two-thirds of poll respondents admire and respect their employer’s big boss. New poll to your right or here: provider employees, how many work days do you spend attending conferences each year? I admit that I’m skeptical that conference attendance delivers employer value beyond giving providing an ego stroke for employees who enjoy feeling important among external peers (for which patients are paying, of course). However, I acknowledge those who say their attendance is important for building relationships with vendors and staying current (OK, I’m still skeptical). Happy birthday, Canada (July 1) and United States of America (July 4). The Silicon Valley goal is now to raise more capital, generate more hype, and buy the most customers. The founder controls nearly all the voting shares. The company’s growth is leveling, but its burn rate is $150 million per year and it carries an $803 million accumulated deficit. Market penetration is less than 4 percent. The company leases a private jet from the founder for $1 million per year and spends $300,000 per year on catering by a company owned by the founder and his brother. Duke Regional Hospital (NC) chooses Glytec’s EGlycemic Management System for insulin therapy. Community Hospital of Staunton (IL) will switch from Evident to Meditech in November 2019. Beatrice Community Hospital & Health Center (NE) will replace Allscripts with Epic on December 1, 2018. Neshoba County General Hospital (MS) will go live with Cerner in February 2019. T-System President and CEO Roger Davis has resigned, verified by the company in response to my query from a reader-reported rumor. Don’t read this if you’re of the “healthcare is a calling, not a business” frame of mind. Atrium Health (the former Carolinas HealthCare System) replaces its anesthesiology group for refusing to lower their prices, choosing instead a local group based in Charlotte. The displaced group, which is owned by a publicly traded company valued at $4 billion, launches a media campaign that warns the public that the decision will jeopardize patient safety and says the health system’s previous cost-cutting efforts simply padded its bottom line to pay for huge executive salaries and its aggressive expansion. The company also notes that its anesthesiologists signed non-compete agreements that prevent them from accepting the job offers that the new company made. An old drug whose only approved use is for a rare condition in babies was being sold by Drug Company A for $40 in 2000. Drug Company B bought the drug’s rights for $100,000 in 2001 and immediately raised its price to $750. Drug Company B kept raising the prices, including a 2007 jump overnight from $1,600 to $23,000. 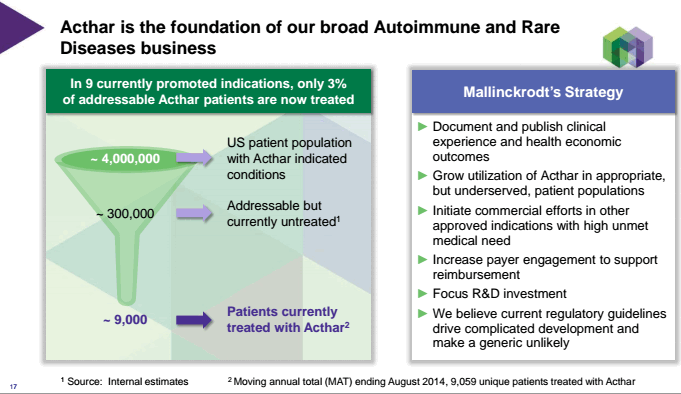 Drug Company C bought Drug Company B in 2014 and raised the price another $7,000. Drug Company C immediately began aggressive promotion of the drug for questionable uses that included paying speaking fees (“peer-to-peer speaking engagements”) to doctors, writing checks to 80 percent of the drug’s prescribers. Medicare spent $2 billion on the drug from 2011 to 2016 even though far cheaper drugs, such as prednisone, work just as well. Don’t show up here with a medical emergency. 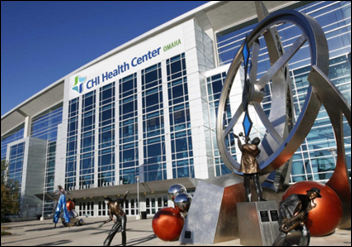 Despite its appearance and name, CHI Health Center isn’t a hospital – the Omaha arena that hosts concerts and wrestling matches sells its naming rights to CHI Health (part of Catholic Health Initiatives) for $24 million over 20 years. Definitive Healthcare is named as the 5th Best Place to Work by the Boston Business Journal. .. and Mr HISTalk wins the award for the most over the top FHIR reference I’ve yet seen. Follow the trail of Roger Davis. No more than 4 years anywhere and then he takes whatever money and runs. Our company provides, as an employee benefit, Dr. on Demand for a $5 payment. It’s been excellent and especially helpful as a first step to determine whether an in-person visit is necessary. They don’t just triage, in many cases they also diagnose and prescribe which is a great saving of time and money for us. 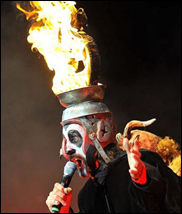 The Arthur Brown Fire song was used as an Academy Award-style walk-on theme song for FHIR demigod David McCallie when he was elected to the informatics honor society ACMI a few years ago. But it clearly would have been cooler with the hat. Thanks Mr. HISTalk for bringing our attention to “Fire”. It is great to hear a B3 out front and not relegated to the background of the song. Now that would be a show-stopper at some staid medical conference! it is too bad the writer didn’t spend more time getting informed. For those of us out in the field working with telehealth and its various service lines we know it is a success. Children and adults are getting the care they desperately need but cannot access, stroke victims live normal lives and when tragedy strikes and you find yourself in the ICU it is telemedicine that helps get home quicker. Telehealth and telemedicine isn’t a narrow service for treating common complaints and sniffly noses as the writer only references it is so much more. I would be happy to write a thorough article on telehealth when you would like.